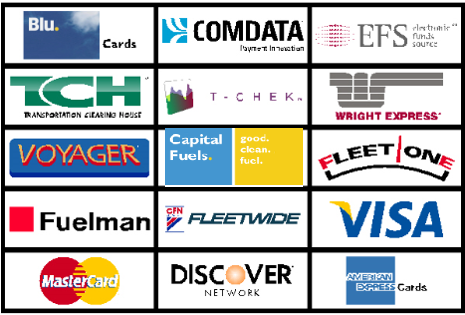 We accept nearly all major credit and fleet cards at our stations. We do not accept or carry cash at any of our locations. 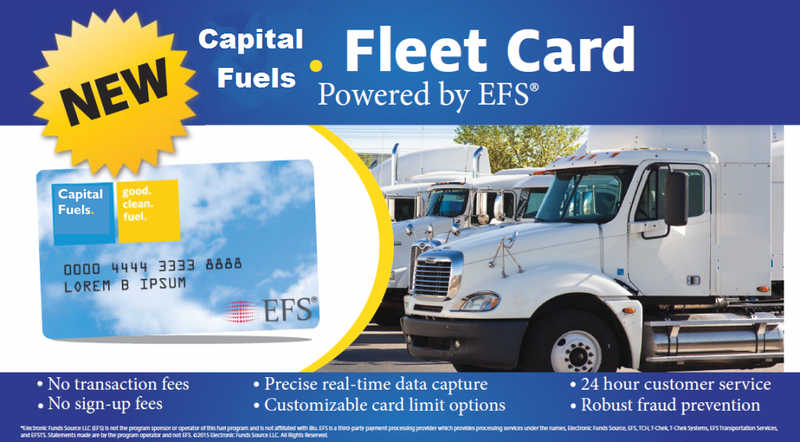 We also offer a Capital Fuels Card through EFS. This card can be used at all Capital Fuels stations, and does not have any application or transaction fees. Designed for any fleet size, you can order one or many cards. If you have any questions, call us at 801-886-7200.